It's the first time for MAPLESTORY FEST! 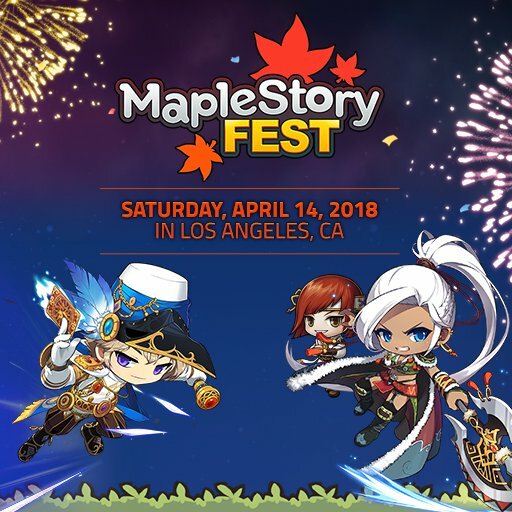 Nexon will celebrate the legacy of MapleStory with an one-day special event on Saturday, April 14, 2018 in Los Angeles, California. Participants will get free special gift bag and you are able to purchase unique MapleStory goodies. To take part in the event, click the "APPLY NOW" button to sign up before March 25, 2018 on the event page. If talking about mobile games, this is an inevitable Mobile Game with many characters to play. The more the team plays, the more fun. The game is so popular that there are many players. Back in the old days, MapleStory M is a game that is based on the MapleStory game on the PC, which makes the game in this version. It is a game that has the charm of the game already. I have touched in the past. Of course, we will find the world in the game, graphics and style of play is not different from the original.